This youngest district in the body of Nakhichevan Autonomous Republic was established in 2004. 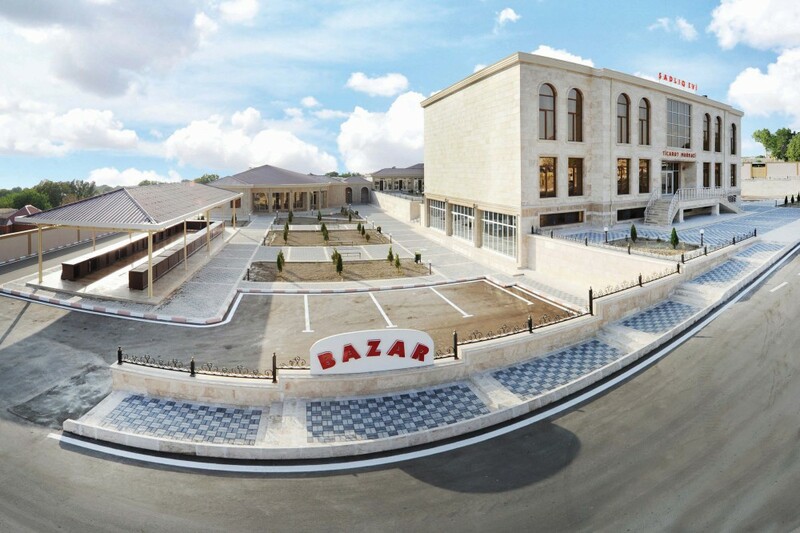 The Administrative center is settlement Givrag which is located at Nakhichevan – Sharur highway, in 30 km from Nakhichevan city. There is Araks river flowing at the distance of 6 km from the settlement. In the north the district borders Armenia and in the south Iran. The climate here is sharply continental – there is very hot in summer and very cold in winter. Its name the district has received from the people kengerli. Like in all parts of Nakhichevan Autonomous Republic there are a lot of monuments in Kengerli that justify the fact that people populated this area in ancient times: barrows Chalkhan Gala, cave Gazma, settlements Galadjig, Govurgala, Damlama, Gulamlitepe, Balatepe. The other preserved monuments of the later period are: mosque Jame in Hok village (XVIII c.) and bath in Shakhtakhti village (XIX c.). At the distance of 30 km to the south-east from the center of the district in the picturesque place on the slope of Lesser Caucasus there is a Garabaglar village (“many gardens”). In this village as well as everywhere in Nakhichevan traditions and ceremonies are preserved very carefully. This will be very interesting for tourists to watch the performance of the folklore group “Gulemey” – this is a women’s folklore group of Garabaglar village. Gulemey – this is a game that is played only by girls at the event in bride’s house. It’s called also “Dilalli”. The essence of the game is the following: girls are singing quatrains at the end of which as a refrain they repeat the word “Gulemey”. It’s interesting also to visit Shakhtakhti village located not far from Garabaglar. The village was a property of the famous dynasty of Shakhtakhtinsky. Their genealogy comes back to Chingiz-khan, the founder of their family was his grand son Hullagu-khan. This village was inherited from generations to generations. The clan of Shakhtakhtinskiy lived in Nakhichevan, Irevan and Tbilisi where they owned houses and lands. Among representatives of this family there were many scientists, cultural workers, artists and diplomats. There is a bath preserved (XIX c.) built by Isa Sultan Shakhtakhtinskiy. The bath is under the ground by half. There are several reasons why it is located in the center of the village. Like locals say it was a recreational place as well for inhabitants of the village. Pehlevans had competitions here, different kinds of show took place here as well. The most ancient and majestic fortress of Nakhichevan is located not far from Djalkhangala village. A mountain path of 3 km leads there where you can rise only on foot. This excursion takes one day. Djalkhangala is the most picturesque mountain village located in dense forest. All these places of interest are worth seeing them. Due to the fact that the district has recently received the status of administrative center there is no infrastructure for welcoming the tourists in Givrag village. But it’s always possible to stay in houses of local inhabitants.